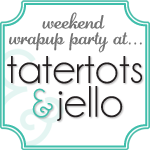 This client is working on getting ready to have her daughter's wedding reception at her house. She wanted to slipcover two loveseats and a chair and ottoman out of vintage chenille bedspreads that she collected from ebay and antique stores. Here are the two loveseats BEFORE....she bought the second one the night before I came off craigslist...it was similar in size and shape of her other one. 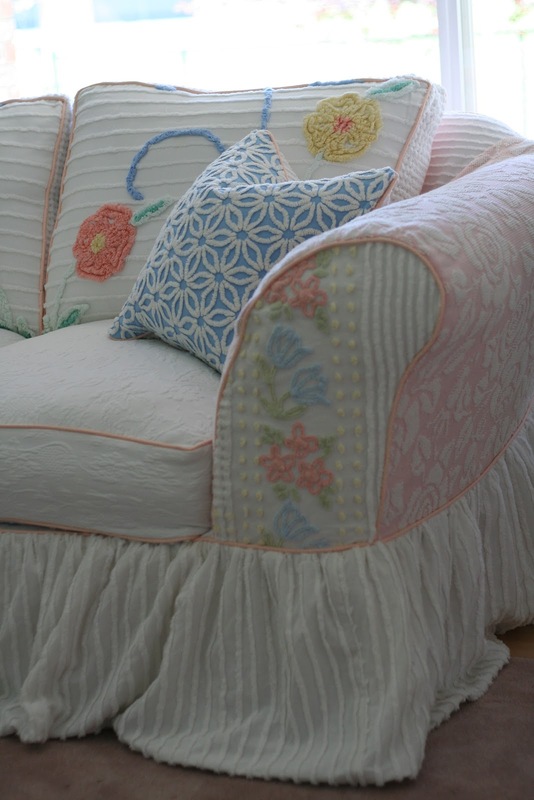 Loveseat--- AFTER--- She had sticky notes on every bedspread numbering them and letting me know where she wanted them. We bagged them up by item, to try and lessen my confusion when I got started. Craigslist Loveseat---AFTER--- she wanted to make the two loveseats looks similar, and the chair to be a bit different. Front of loveseat....she bought inner lining that is used on curtains (feels like flannel) to line most of the bedspreads since some were a little thin. I lined the skirt, front of arms, cushions and pillows. I added 2" to the length of the skirt so it would puddle. 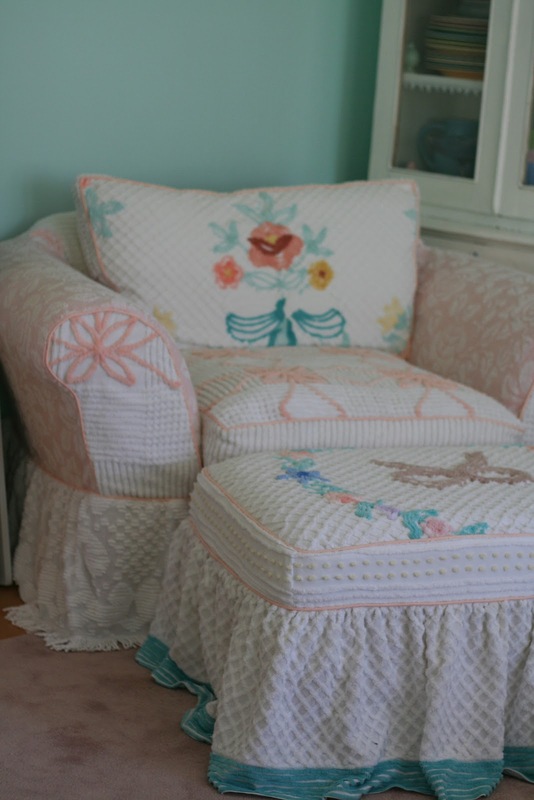 Chair---AFTER--- I used the original bedspread edging for the hem of the skirts on the chair and ottoman....so no lining on these two skirts. Marcelle had me do the bottoms and the backs of the cushions in different colors, so she can flip them and have another look. 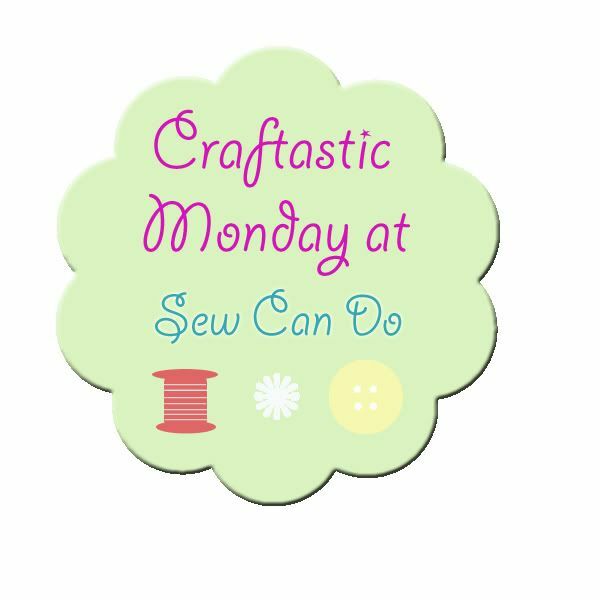 The bottom of the chair cushion is out of purple/ white chenille bedspread and the back of the back cushion is out of yellow chenille. Top of Ottoman. 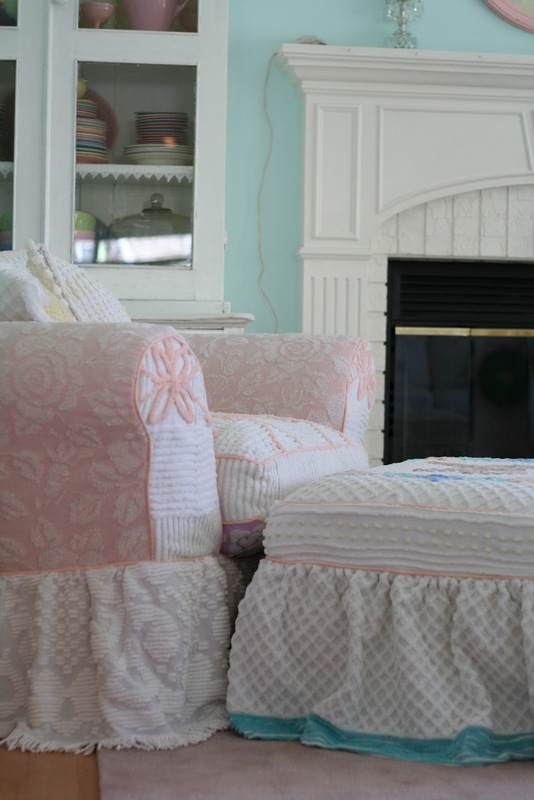 We used the same pink cotton piping everywhere, to tie it all together. I centered and matched up the designs on the back cushions, so they were symmetrical. The top of the seat cushions and bands are out of a white matelesse. Centered and matched up back cushions on the second loveseat. Marcelle also hung chenille bedspreads on clip rings for her window treatments. 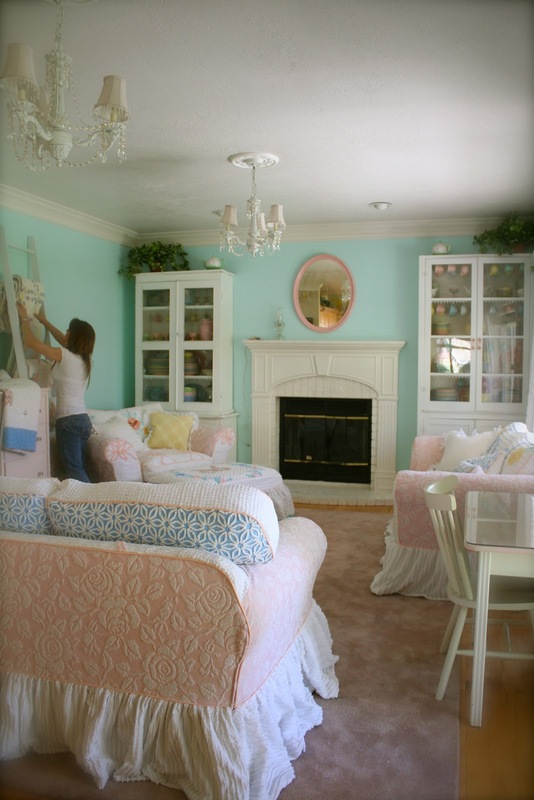 I love how her whole room turned out and the vision she had! How Darling is this! She even started switching out her quilts on her quilt rack to coordinate. I love the minty walls and the chandeliers and the mirror...it all works! 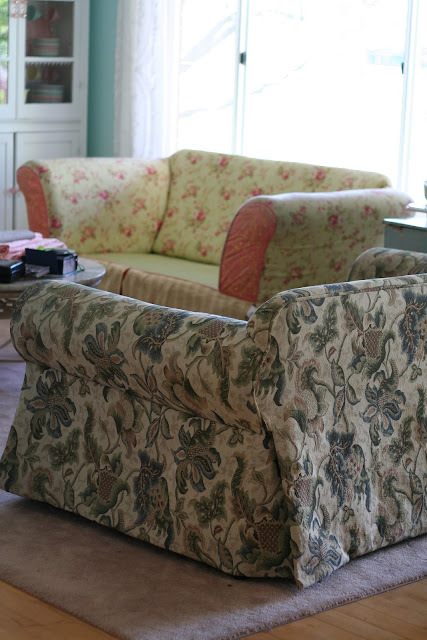 I love how slipcovers can change and room! Side Note #1-- I am booked until End of July/ beginning of August. 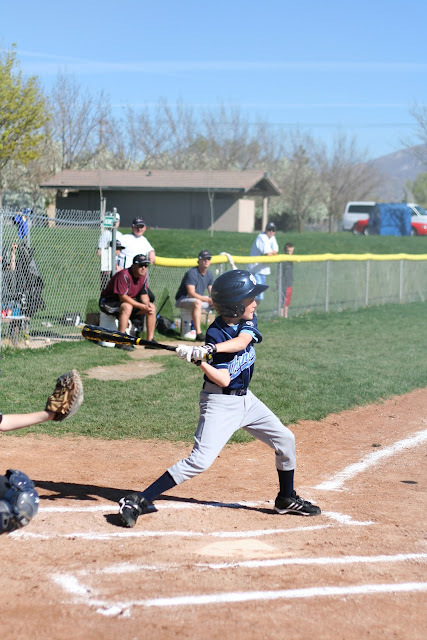 Side Note #2--- BASEBALL HAS STARTED! 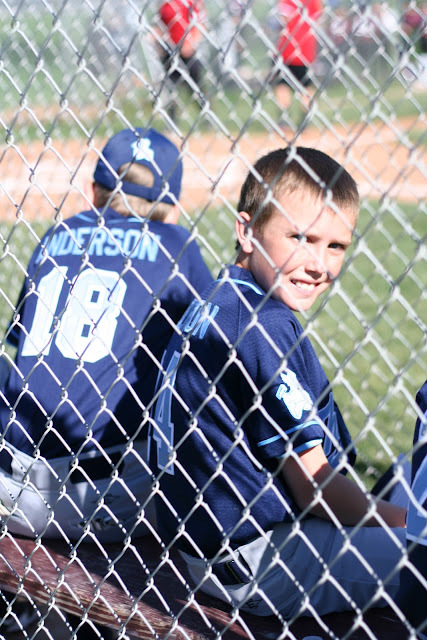 Life with 3 boys playing baseball has begun. 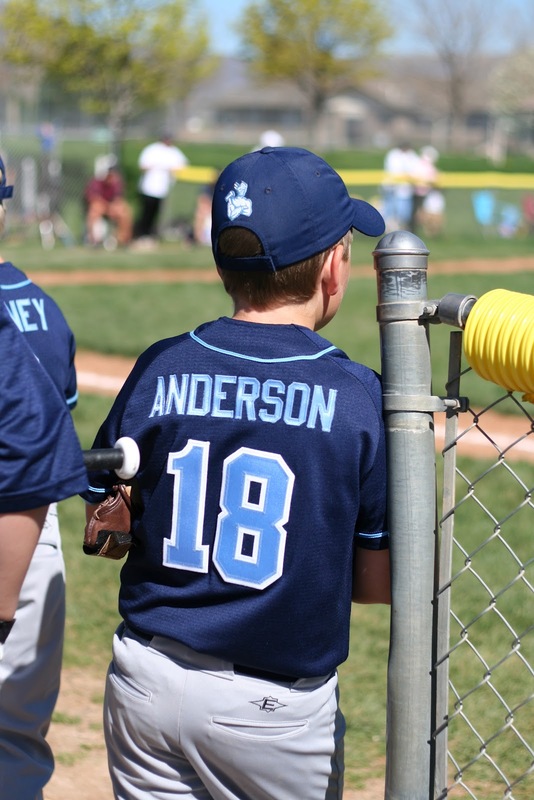 My two oldest are on the same team this year and play two games every Saturday, and my youngest plays one game each Saturday as well. Here are some pics from the first weeks game. They were so excited about their uniforms and the fact that their name is on their jerseys. Wow, these slipcovers and phenomenal! Wow...these are so great. Beautiful room, you must be so proud when you stand back and look at the great work you do. Would you mind if I shared this with the private Annie Sloan Chalk Paint™ Facebook page. 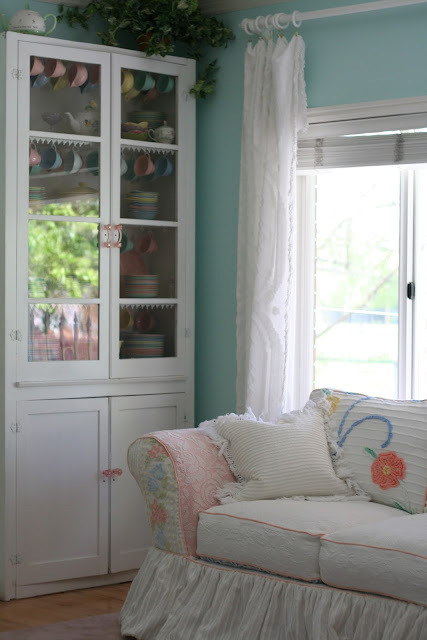 Annie is bringing her French and Belgium linen and cotton fabric to the USA this summer. I see slipcovers in my future!! Great job. What a fun way to use old pieces and make them new again. I want to sink right into them. These projects are stunningly beautiful--I continue to be amazed at your designs and your technical skills. Gorgeous! wow - that looks like a very, very challenging project with all the lines, dots and accents to match in a soft, thin fabric- it turned out beautiful though!! You have inspired me!! 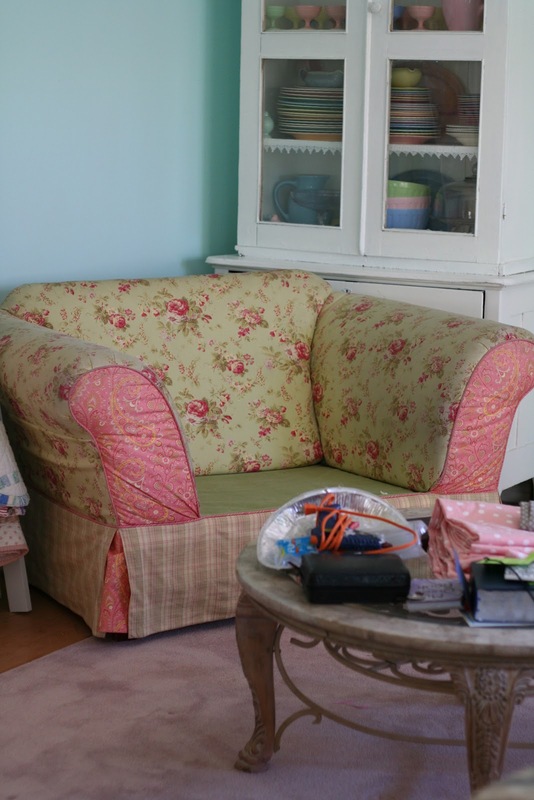 After snooping around your blog for a few months I finally got the courage to slipcover my loveseat and sofa! We live in an old farm house so I opted for blue denim and love it! Of course, then we had to paint the walls, and the floor, and the furniture.....and even the lamps!! Thanks for sharing your work with us all! How do you line fabric like this? That is so creative! 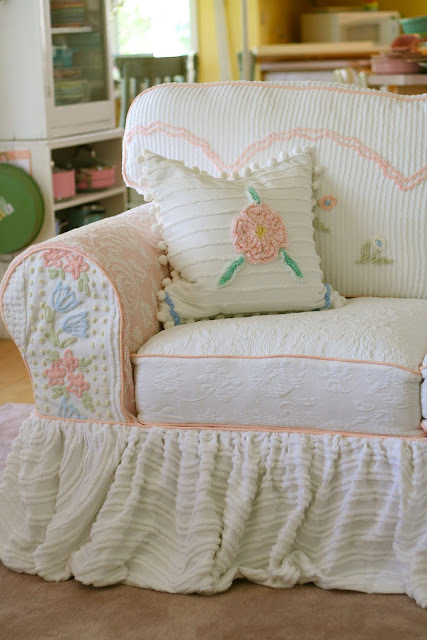 Never in a million years would I think to slipcover with chenille bedspreads, but this is just amazing! How in the world did you line up all those patterns? Exactly what I'd like for my living room. Beautiful!!!!! Very unique, great work on the slipcovers! Oh my gosh, this is so cute. I love it. You are a professional and it shows! I want to try this but so many questions....I will continue to follow along to dream and learn. Those are the cutest, most unique slipcovers I have ever seen. What a vision your customer had! They turned out amazing. If I didn't have a husband, I would totally steal her idea, but I am afraid my husband wouldn't put up with the girliness! I like this blog. I'm really glad I have found this information. I am so blown away by your slipcovers. I wish I lived near you so I could have one made. Absolutely amazing work!